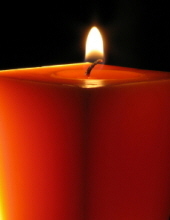 Sherry Lue (DeWitt) Chastain, 77, died January 19, 2019 in West Liberty, OH. Sherry was born on July 23, 1941 in Urbana, OH to Paul and Marjorie DeWitt, who preceded her in death. She graduated from Urbana High School. Sherry lived in Columbus, OH for most of her adult life, working as a housekeeper at numerous hotels and nursing care centers. She filled her free time with trips to the Columbus Zoo, shopping malls and Broadway shows that came through Columbus. Her particular favorite was “Cats,” which she saw many times. Sherry was also an avid Columbus Clippers fan and would rarely miss a home game. Sherry is preceded in death by two brothers, Philip DeWitt and John DeWitt, and two sisters, Diane (DeWitt) Cousins and Mary Ann (DeWitt) Roush. She is survived by a sister-in-law, Reba DeWitt in West Liberty, and a brother-in-law, David Kay Roush in Urbana. She is also survived by numerous nieces and nephews, whom she loved dearly and truly enjoyed spending time with. The family would like to thank Green Hills Community in West Liberty for the love and care she received there during her retirement and later nursing care. Sherry will be cremated and her remains will be interred during a family service at Oak Dale Cemetery in Urbana at a later date. The family is being served by WALTER & LEWIS FUNERAL HOME, Urbana. To send flowers or a remembrance gift to the family of Sherry Lue Chastain, please visit our Tribute Store. "Email Address" would like to share the life celebration of Sherry Lue Chastain. Click on the "link" to go to share a favorite memory or leave a condolence message for the family.